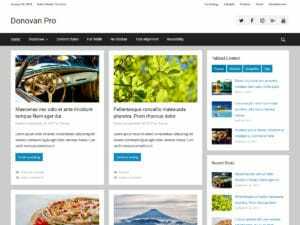 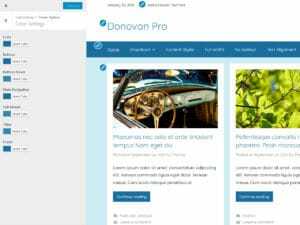 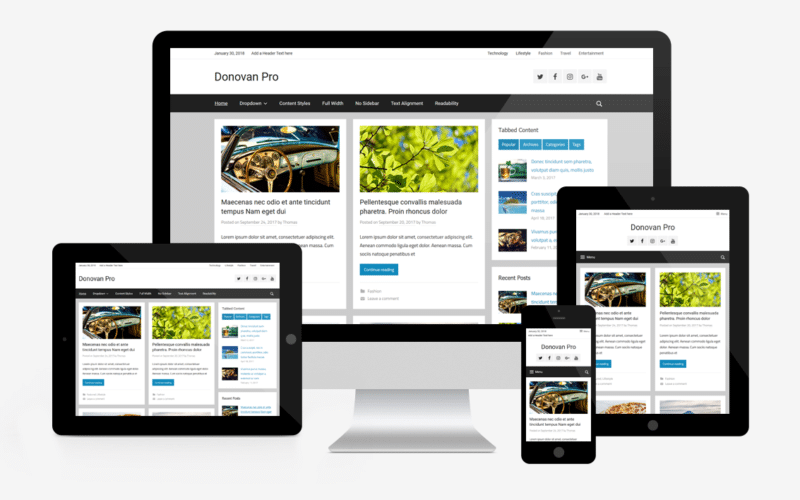 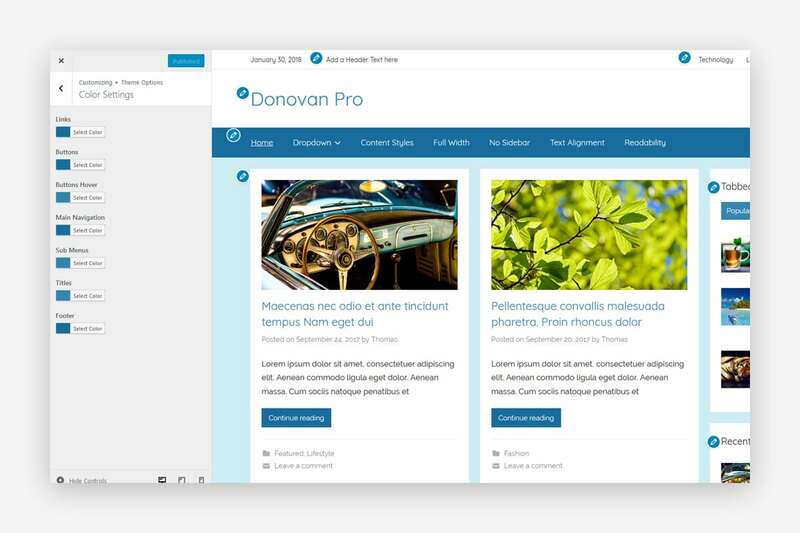 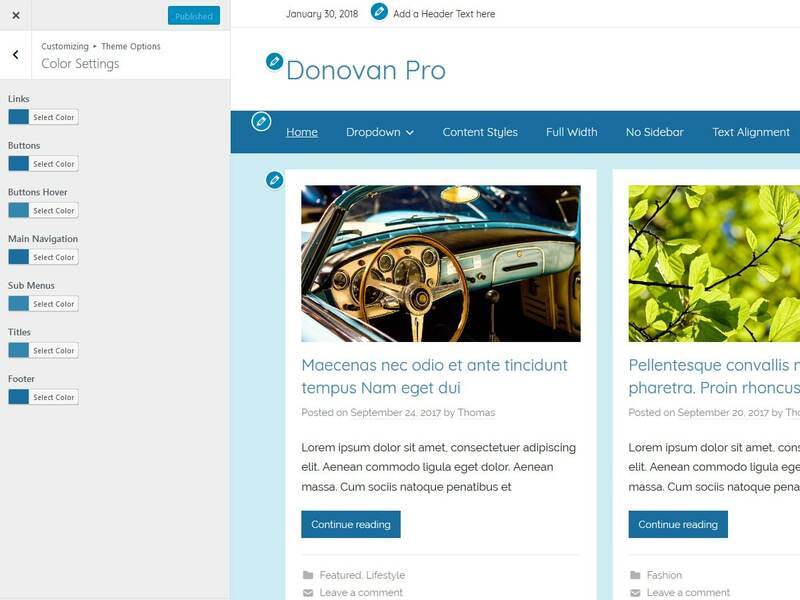 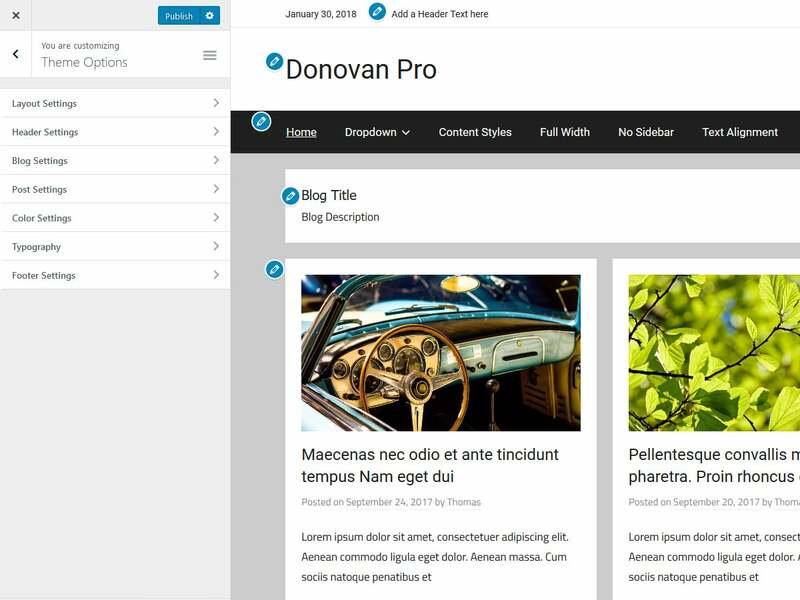 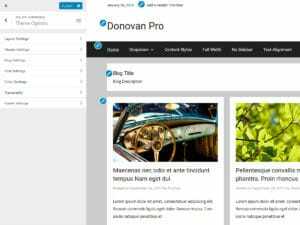 Donovan Pro is an add-on plugin for Donovan and includes customization options for colors and typography as well as additional features like top navigation, header search and footer widgets. 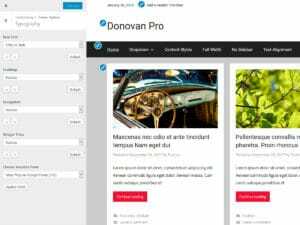 Donovan Pro adds two new sections for changing colors and fonts in the Customizer. 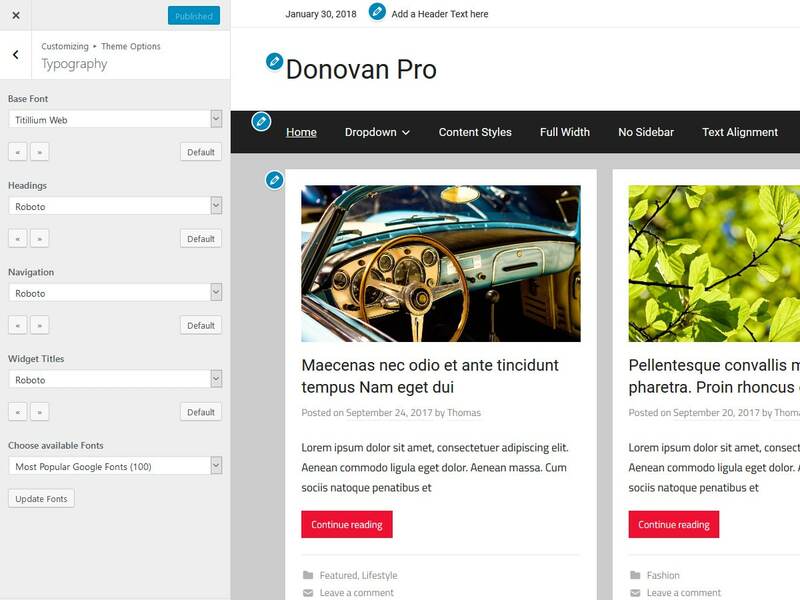 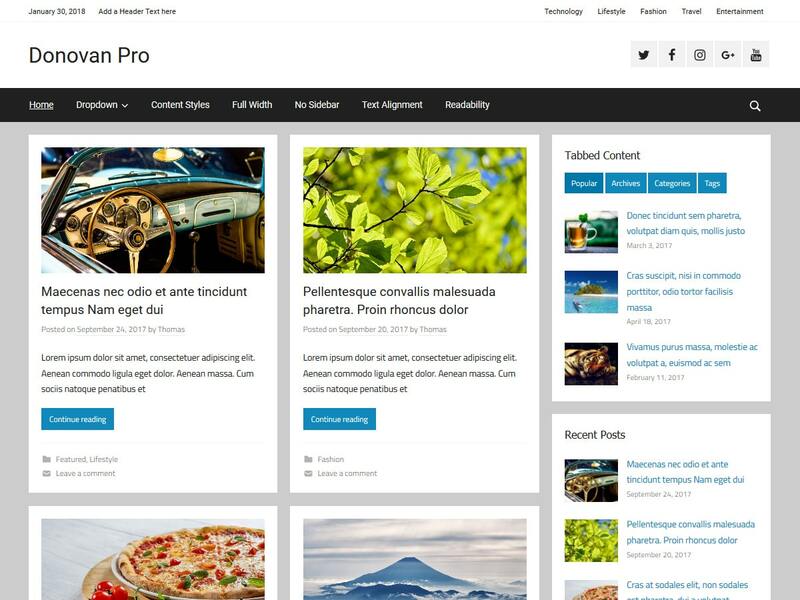 You can easily change the colors for links, buttons, navigation menus, titles and the footer area. 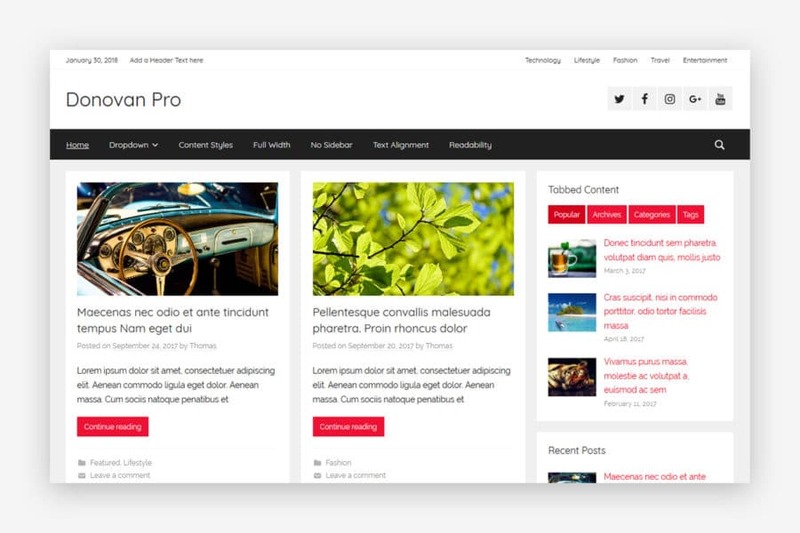 Choose from 650+ Google Fonts to set a font for Content, Headlines and Navigation menus of your site.